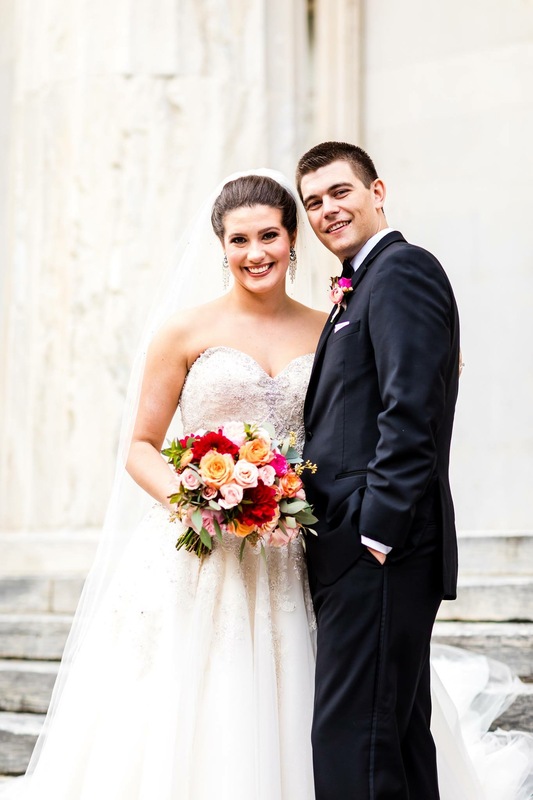 Adriana and Kenneth tied the knot last November at the luxurious Union Trust located in the Historic District of Philadelphia. 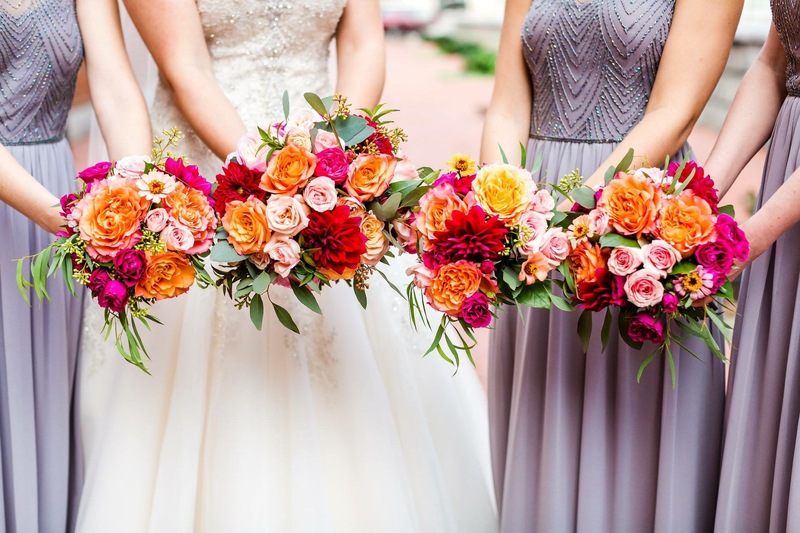 Her garden style bouquet included burgundy, magenta and coral flowers and blush pink accent tea roses and greenery mixed into the colorful bouquet. 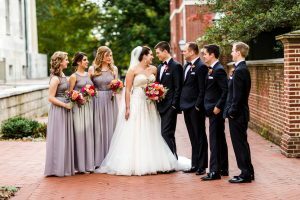 Her colorful choice of blush and burgundy flowers popped against the bridesmaids lavender dresses and gave a classy vibe to an already exquisite space. Her colorful floral design choices dotted the space with Ivory, Peaches and burgundy colors and set a romantic tone for their wedding day. 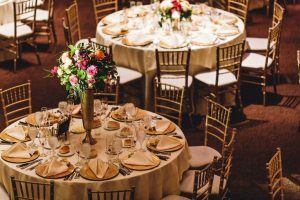 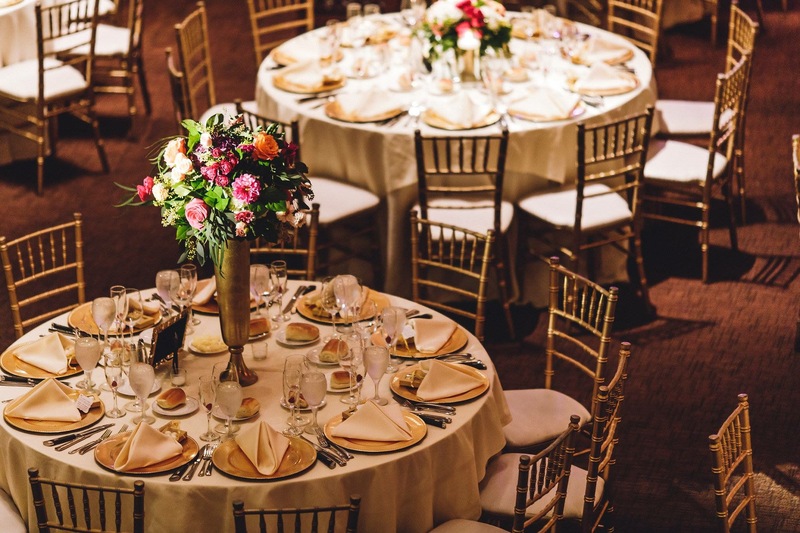 The reception featured alternating tall and low centerpiece designs in our gold rental vases. 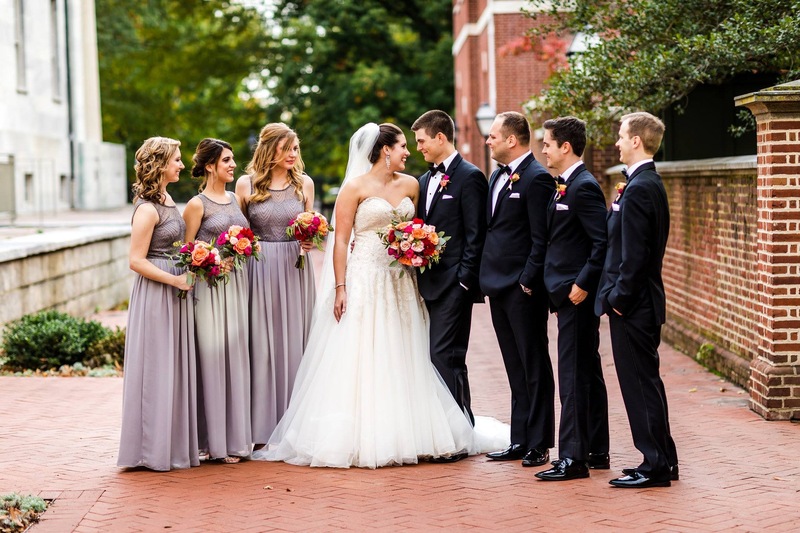 Filled with Ivory hydrangeas, peach and coral Free Spirit roses and burgundy and green-gray foliage. 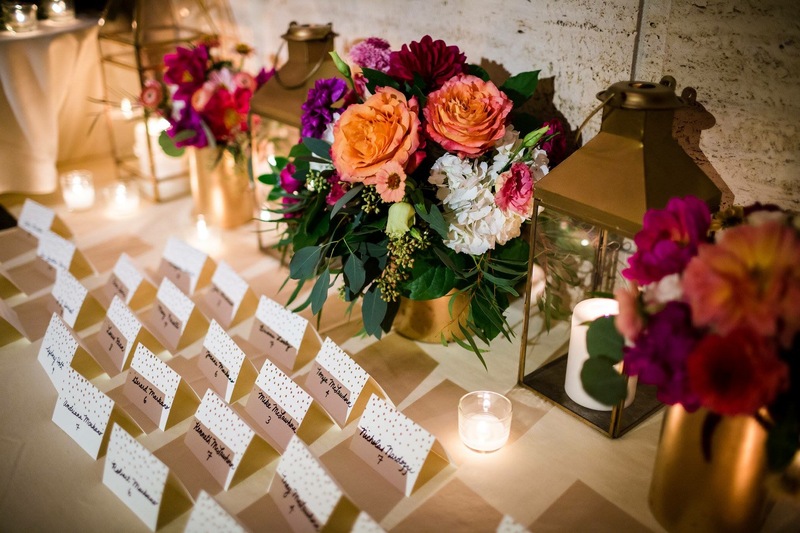 The gold accenting color of the vases and lanterns allowed the flowers to take center stage.